As Cosmos we aim to provide a safe and friendly environment for the international students at the TU/e. 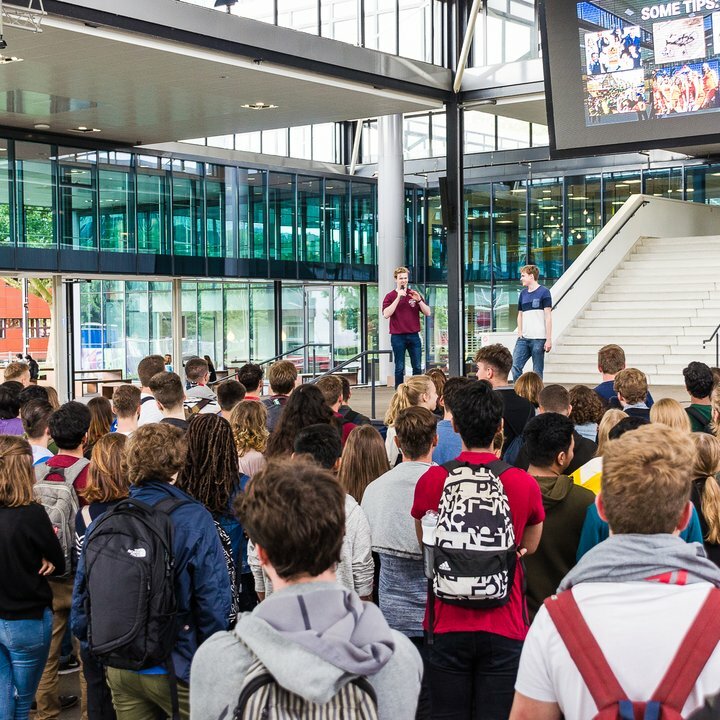 We strongly promote mutual integration of Dutch and international students in Eindhoven by organizing a variety of internationally oriented events. We provide a voice for international students within the TU/e community on all issues related to student life on campus. Eight years ago, before the large student housing buildings of La Luna and Aurora existed on the TU/e campus, the university provided some international students very modest and limited living quarters known as “space boxes”. These were small studio apartments, similar to temporary housing you might see for construction workers at job sites. They were always meant to be a temporary solution, but after many students expressed interest for a “common area”, the TU/e set aside a room in De Bunker, a student center just outside campus. A small committee was founded to manage the room, and soon the committee branched out to organizing events and other activities directed towards international students. each faculty), to share issues and concerns held by the international community. Today, Cosmos organizes at least one activity every week. These events vary in size from small workshops about cultural differences in job applications around the world (organized in collaboration with the Career Academy of the TU/e), to large 100+ person events such as “I Love Holland”, a quiz about Dutch culture based on a popular TV show (organized in collaboration with the TU/e). We also organize recurring events; a monthly potluck dinner where students bring and share food from their home countries, and a Language Cafe where students come practice Dutch and foreign languages in a casual setting. While most events are only for TU/e students, many (such as the potlucks) are free for anyone to join. If any of this sounds interesting, feel free to look us up on Facebook and check our event schedule or send us a message.